Good news for fans of When Calls the Heart. This week, Hallmark announced they are developing a spin-off to the popular TV show called When Hope Calls. A light-hearted drama, When Calls the Heart centers on Elizabeth Thatcher (Erin Krakow), a young teacher from a high society background whose life completely changes when she is assigned to teach in a coal country classroom. 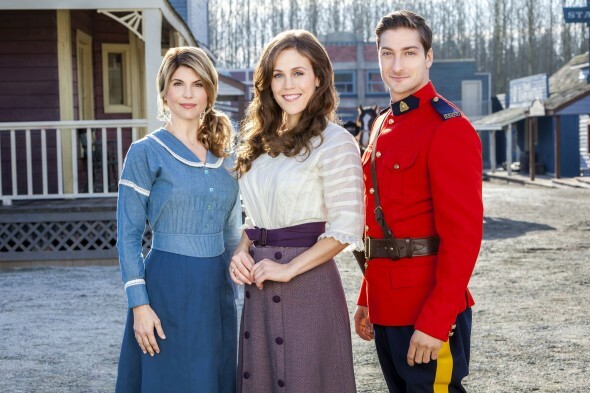 The cast also includes Daniel Lissing, Lori Loughlin, Jack Wagner, Martin Cummins, Pascale Hutton, and Kavan Smith. When Hope Calls is being developed for Hallmark’s streaming service, Hallmark Movies Now. The series is slated to debut in 2019. Meanwhile, season six of When Calls the Heart is expected to premiere on Hallmark Channel in early 2019. BEVERLY HILLS, CA – July 26, 2018- Crown Media Family Networks’ first-ever streaming series, “When Hope Calls” (wt), is in development to premiere in 2019 on the company’s SVOD subscription service, Hallmark Movies Now. The series is spawned from Hallmark Channel’s longest running, most-watched primetime series to date, “When Calls the Heart,” currently entering its sixth season on the network. The announcement was made today as part of Crown Media Family Networks’ bi-annual Television Critics Association Summer Press Tour. What do you think? Do you watch When Calls the Heart? Will you check out When Hope Calls? More about: Hallmark Channel TV shows: canceled or renewed?, When Calls the Heart, When Calls the Heart: canceled or renewed?, When Hope Calls, When Hope Calls: canceled or renewed? Sorry, but I will not be watching due to the added cost of the streaming channel. Probably wont since I already pay for Netflix, Amazon Prime, etc. I love the series tho. I’d like to assume that I would give When Hope Calls a viewing. But this article gives very little details about how it spins off. No details really. In my experience, most spin offs are kind of crappy. It really depends on what plot line they follow. I’m not optimistic, given the lack of details. Sorry….I didn’t realize, until I read some of the comments, that we would have to pay to watch the new series. Due to our Cable setup it would not be possible, even if l could afford it. I watch Hallmark every night and certainly will watch new series. We love When Calls the Heart!!! I am sure we will watch the new series When Hope Calls!!! Thank you!!! When will season 5 be on Netflix? I totally agree with Linda, it is NOT fair to put the new Hallmark series on a channel I would have to pay for. I will not pay to watch it. I already pay for satellite, I cannot afford any more!